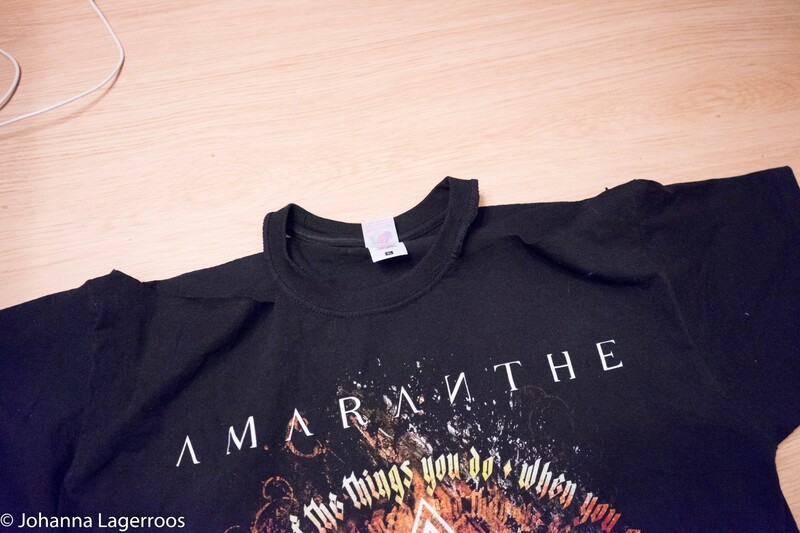 A while back Amaranthe opened their Europe-wide merch store, and naturally I had to go and place an order. 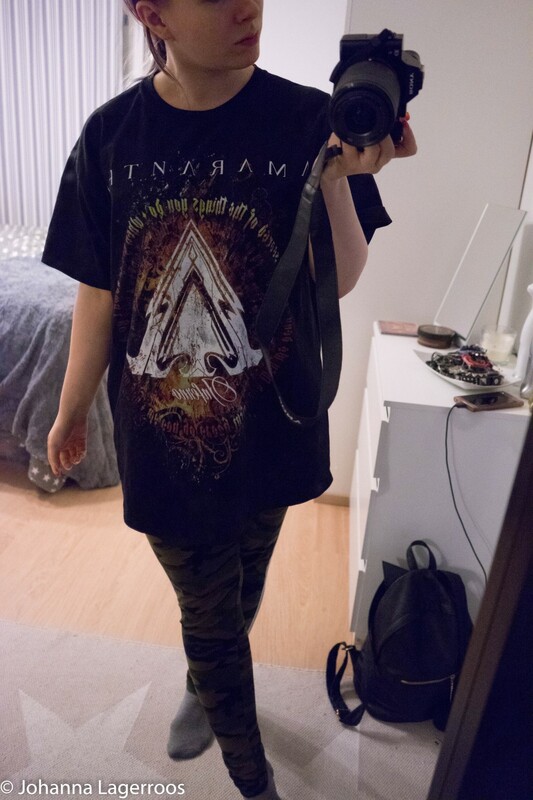 The thing was though, that the shirt I wanted only had men's XL sizes left then. But, as I have my crafting background, I figured I could buy the tee and just craft it into something that fits. And I feel it makes a cool little blog post as well. 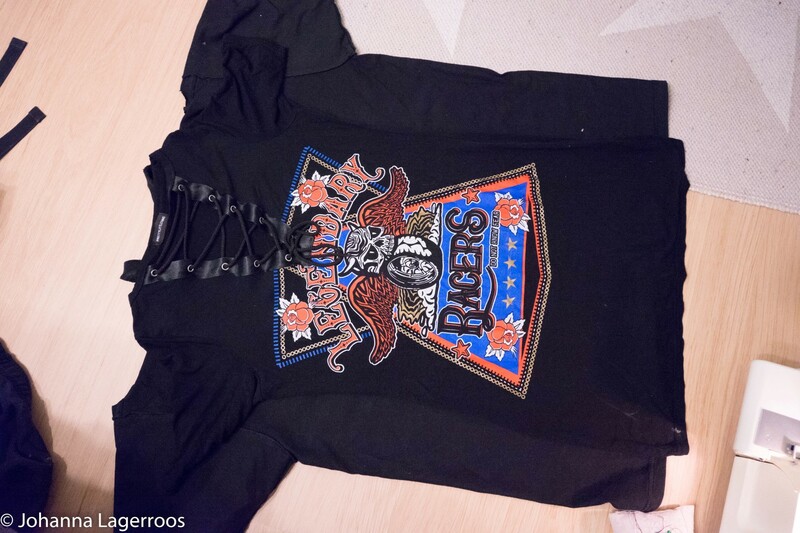 Below, you can see how the shirt originally looked. 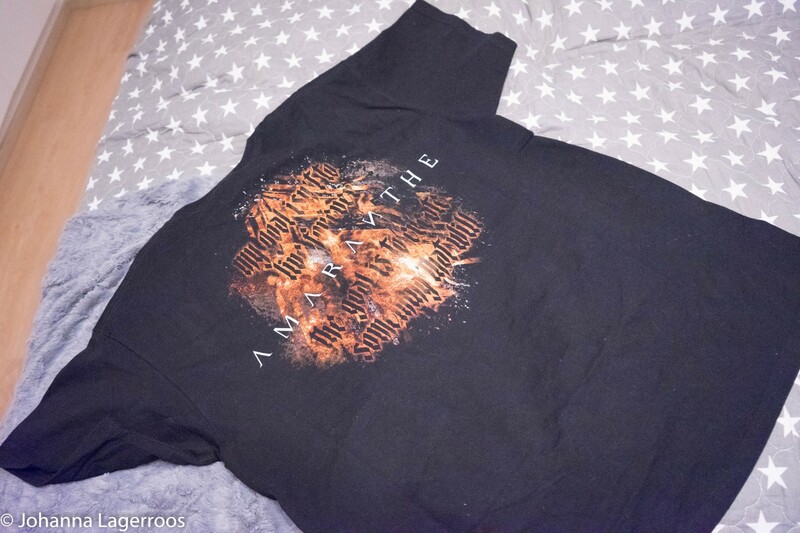 I love the print because "Inferno" is one of my favorite songs from the latest Amaranthe album. The lyrics just are so bomb. 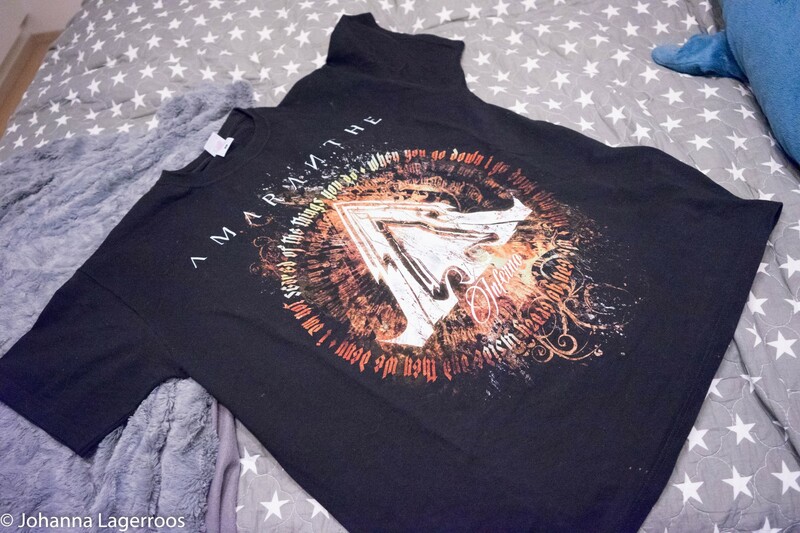 Therefore I had to get the tee even if the size was off. 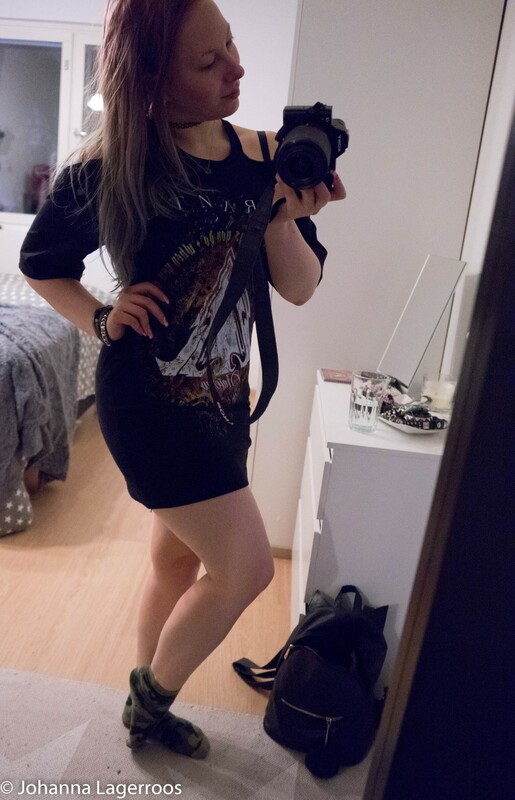 As you can see, the men's XL looks very boxy on me and it's basically a dress as it is. However so that I will ever wear this, little bit of shape was in order. So that's what I did. First I thought I'd make the shoulder area a bit more flattering, and actually cut off pieces from the shoulders to make the dress cold shoulder/off shoulder one. 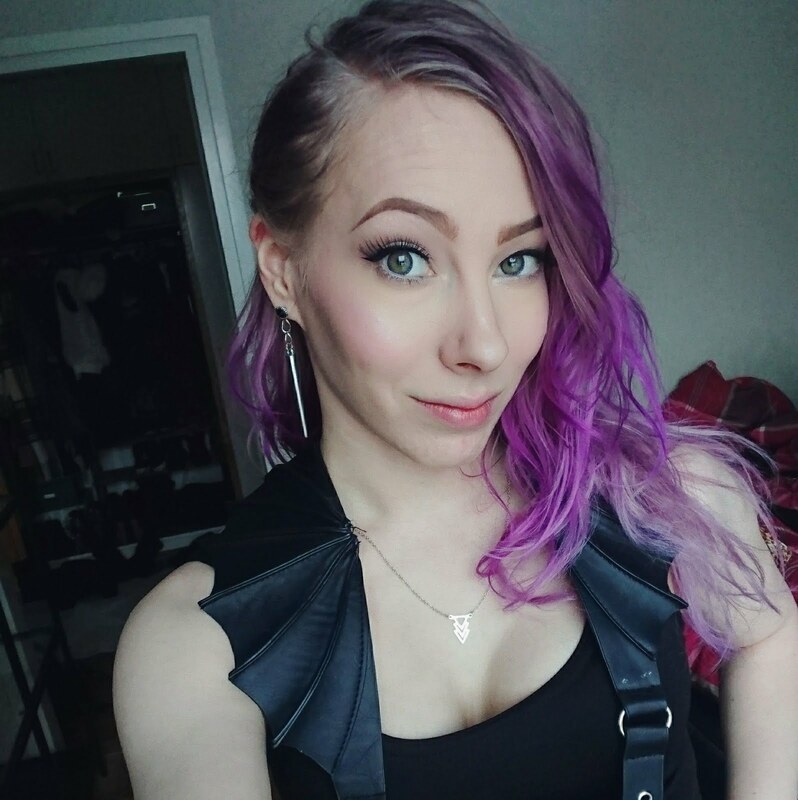 YouTube has tutorials for this in case you want to try this but are afraid of ruining the shirt in the progress. 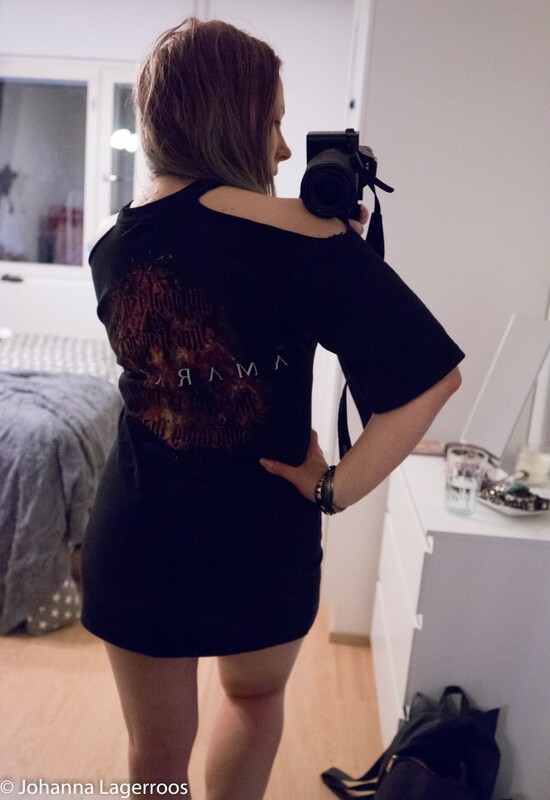 Next, I used a dress I have for measurements, taking into account that the fabrics are very different - the dress is very stretchy, whereas the tee is more firm. So I made sure to make mine a bit bigger so that it would still fit me. 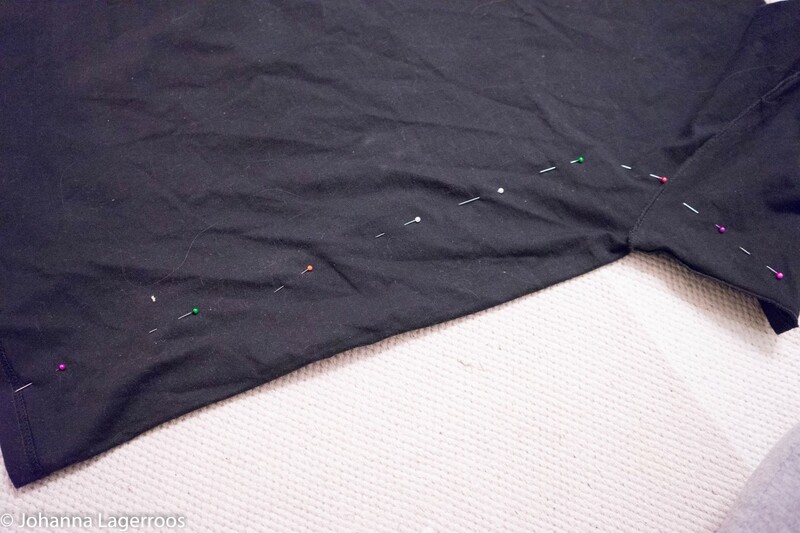 Then I marked my measurements with pins and sewed away. I have overlocker kind of sewing machine, which cuts the edges so I didn't have to, but in case you use a regular sewing machine, you may want to cut the excess off at this point. 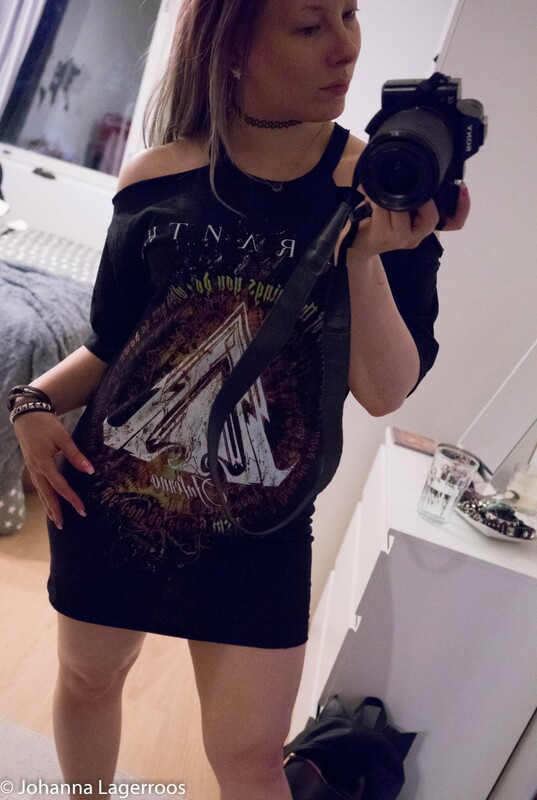 I like the end result a lot, and this will totally be one of my outfit options for the next Ama gig I go to! Although to be perfectly honest, next time will be in few weeks and it might be a bit too cold for this then. But you'll see this on me for sure during the spring and summer! 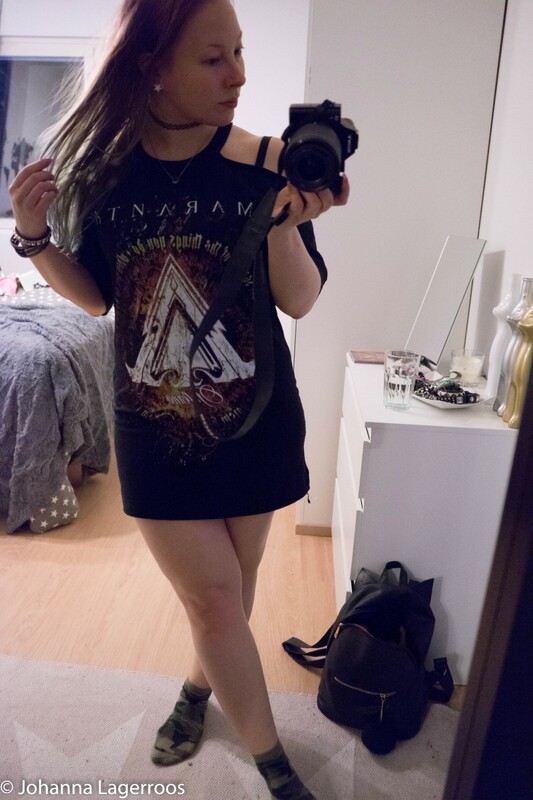 How do you think I did on upcycling the oversized tee? Let me know in the comments! That's all for today, I was planning on posting this on yesterday but to be honest didn't have the time to take out the sewing machine. But I pushed myself to get this out today, and I'm so happy that I did. The next post will also be style related, but I'm not exactly sure which one I will post next. Stay tuned to find out and maybe also follow me on Instagram where I post daily outfits and more. I'll see you in the next post!